Ern Brown. Ted Holmes. Arthur Cobbald. Wilson Brown. Griffith Williams. Arthur Grimes. Jack Johnson. Norm Williams. Clarence Howes. Jack Plumb. Dorothy Kristiansen. Connie Thomas. Hazel Duncan. Howard Coate. Fred Jackson. Dawn Brewer. Elsie Neville. Jean Comrie. Jean Bulloch. Mr F Rogers. Mrs Rogers. Rev Urquhart. Mrs Thomas. Adelene Wallwork. Minnie Bowers, Jean Comrie, Clarence Howes, Jack Johnson, Jack Plumb, Howard Coate, Edwin Holmes & Norman Williams. 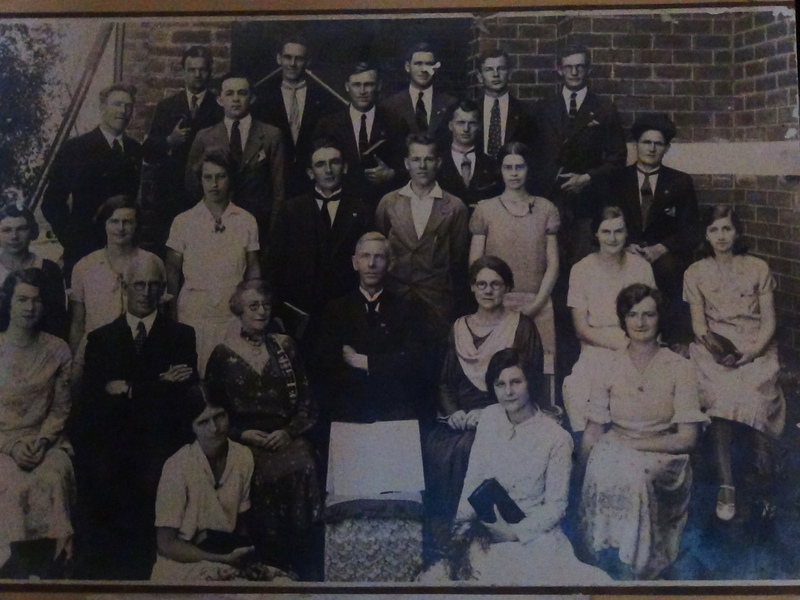 Dawn Brewer, Ernest Brown, Wilson Brown, Jean Bullock, Arthur Cobbald, Hazel Duncan, Roma Fawcett, Arthur Grimes, Dorothy Kristiansen, Elsie Kristiansen, Connie Thomas, Mrs Thomas, Adelene Wallwork & Griffith Williams.